Thinking inside the little box. 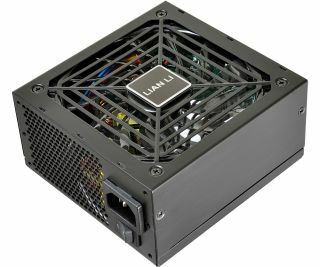 Hulking desktops still have their place, but if it's a small form factor system you're building, Lian Li has a couple of new power supplies that might be of interest, the PE-550 and PE-750. "The most general trend in electronics is miniaturization: the smaller the better. This is reflected in nearly every facet of PC hardware and cases are no different. Small form factor, mini-ITX cases are popular and for a reason; if one can have a smaller footprint without compromising performance, why not? The PE-550 and PE-750 provide 550W and 750W respectively – more than enough to drive even multi-GPU gaming PCs," Lian Li says. Both units are SFX-L PSUs measuring 130 x 125 x 63.8mm (DxWxH). They're the same length and height as a standard SFX PSU, but 30mm deeper to make room for a 120mm cooling fan instead of an 80mm fan. These are highly efficient PSUs—the PE-550 sports 80 Plus Gold certification while the PE-750 ups the ante to 80 Plus Platinum—that use a single +12V rail design. Lian Li's latest PSUs are also fully modular, which can make installing these things in tight confines a little bit easier since you only have to attach the cables you need. As far as cabling goes, the PE-550 and PE-750 both come with with a 24/20-pin motherboard connector, 8/4-pin EPS/ATX 12V connector, four 8/6-pin PCIe connectors, a dozen SATA connectors, three 4-pin peripheral connectors, and a 4-pin floppy connector. The PE-550 and PE-750 will be available today at Newegg for $115 and $169, respectively.